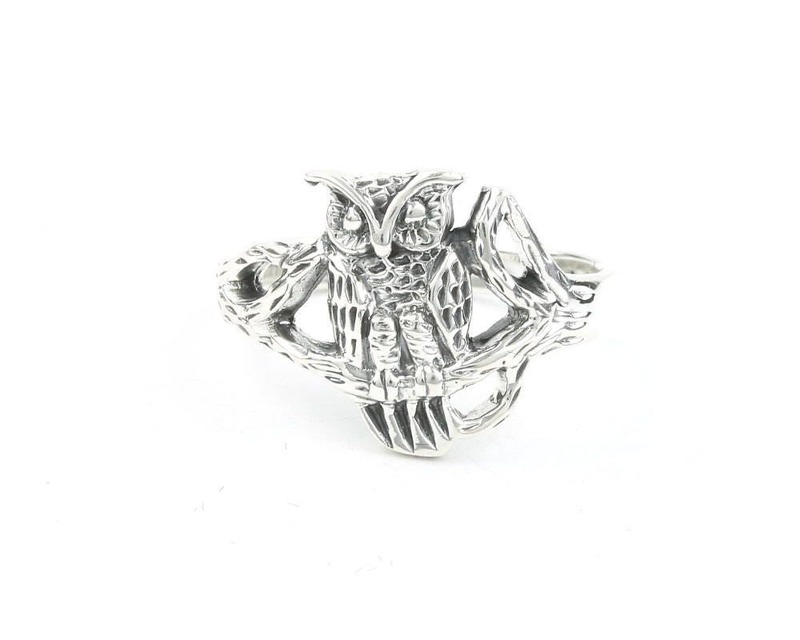 Beautifully detailed sterling silver owl ring. Owl sits on etched tree branches. 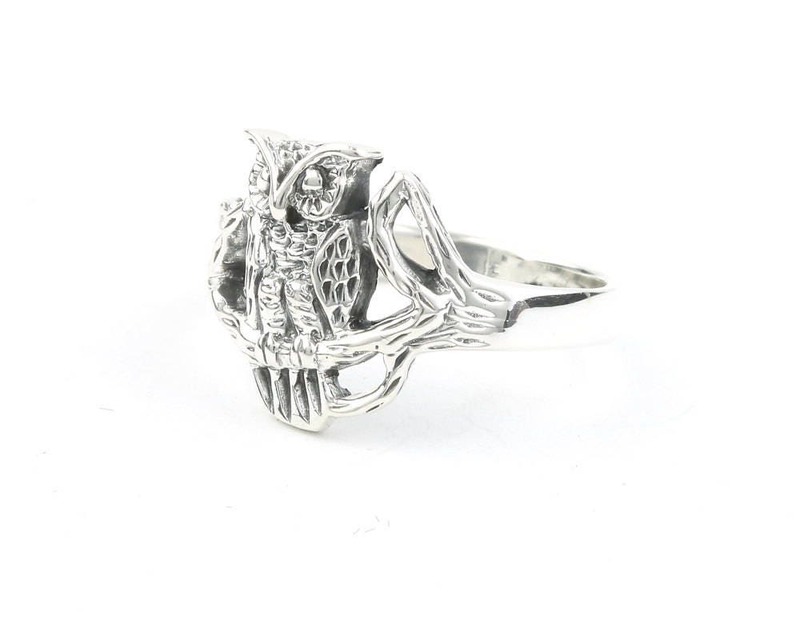 The owl is the ruler of the night, a powerful symbol of messages and secret knowledge. Patina finish accentuates the intricate detail of this piece.